Moving into a new place is fun! Making plans to arrange the furniture and dreaming about what type of events to host in your new space can get anyone excited. But as you move in (or move out), remembering to do some of the small “have tos” of moving is also a key part of relocating. And one important step to take: changing your address. 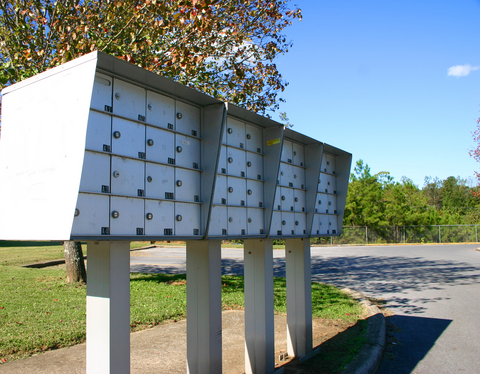 Make Sure Your Mail's Not in the Wrong Hands- Change Your Address When Moving! Step one of changing your address is visiting the United States Postal Service (USPS). You can visit in person, however the USPS also has a very easy online system. Click here for the USPS Movers Guide. The website will ask you if your mail forwarding is permanent or temporary – which is nice for those in short-term housing. Simply visit the website, enter your old address, enter your new address and the date your mail needs to begin forwarding. Note that when you have mail forwarded, it may take a few extra days to get to you. Your rent payment and utilities will be an easy change since you’ll need to make contact with your landlord and utility providers to get service at your new place. However, your cell phone bill, student loan bills and others that don’t provide service at your home will need to also be updated. Because forwarded mail can be delayed, it’s easier to call these companies directly and make sure they have your updated address so you don’t miss a payment. Magazines and other publications that you receive periodically will also need updating. Check the area of the periodical that lists information about the editor and publisher for information on changing your address. You can usually go online and update your address with the magazine, or mail in an updated address request form. Make sure to do this so that whomever moves into the rental house after you doesn’t start getting your subscription instead. Tell Your Friends & Family You’ve Moved! Traditionally cards were sent out informing friends and family of a new address. These days, Facebook messages make it even easier to let people know you’ve moved. Make sure to notify those who might send you “snail mail” of your new mailing address. That way you’re sure to receive any important letters, invitations or postcards! Also, if you attend a church or give financial donations to non-profit organizations, make sure they have your updated address so giving records are sent to the right place. Changing your address is a very important piece of the moving process. For one, it makes sure that you get your mail. (Obviously.) But, for less obvious reasons – it’s an important safety measure to take. I recommend taking a proactive approach when it comes to changing your address. Collect each piece of mail you receive within a month, and use it to make a list of places that will need your updated address. When you forward your mail, the post office will only forward for a limited amount of time until they expect that everyone who sends you mail knows your new address. So for example, after you’ve lived somewhere 3 years, if someone tries to send you mail at an old address – it won’t be forwarded. Instead, it will be delivered to your previous home and could be in the hands of the new resident. In a culture of identity theft and security breaches, do whatever you can to prevent your mail from being delivered into another person’s hands. Yes, it’s breaking the law to open mail that’s not addressed to you. But, it’s also against the law to steal someone’s identity. And it happens every day. Don’t take the easy way out and assume that your bills, magazines, cards and other mail pieces will make their way to you. Do whatever you can to ensure they’re not delivered to the wrong home.